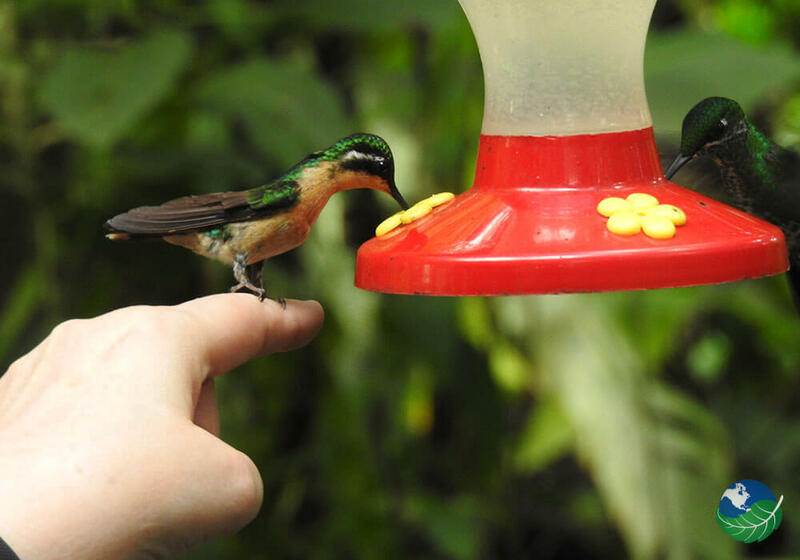 One Hummingbird Enthusiast's Amazing Costa Rica Vacation! 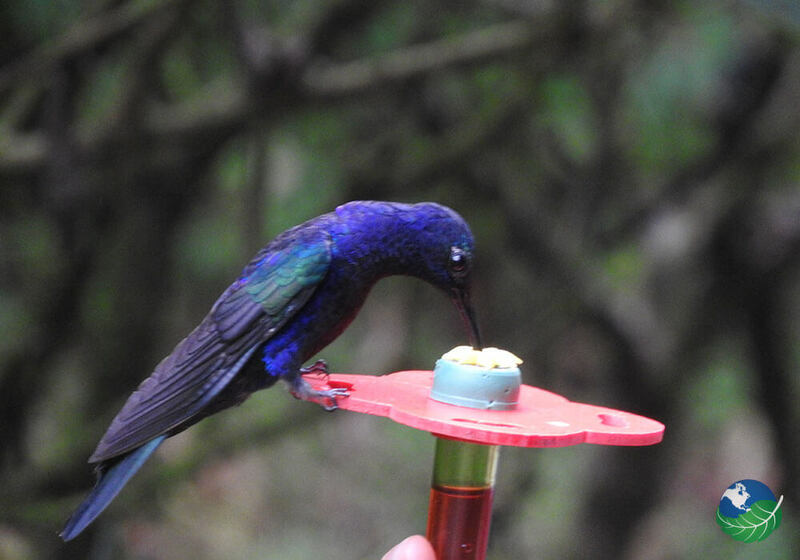 A Hummingbird fanatic enjoying the bounty of Hummingbirds in Costa Rica! 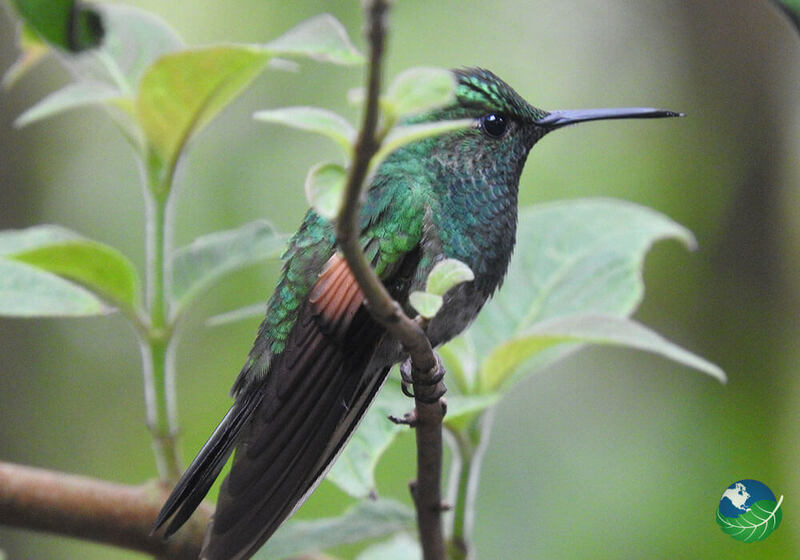 In our 2 trips to Costa Rica we saw 11 of the 47 varieties of Hummingbirds. 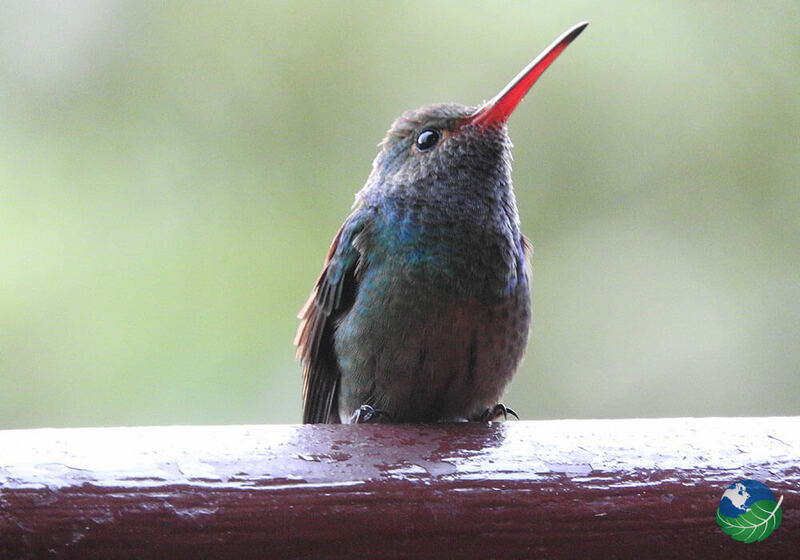 We were in 8 different areas and we spotted Hummingbirds in each place, some areas had a greater number but we were fortunate enough to see them everywhere we went! 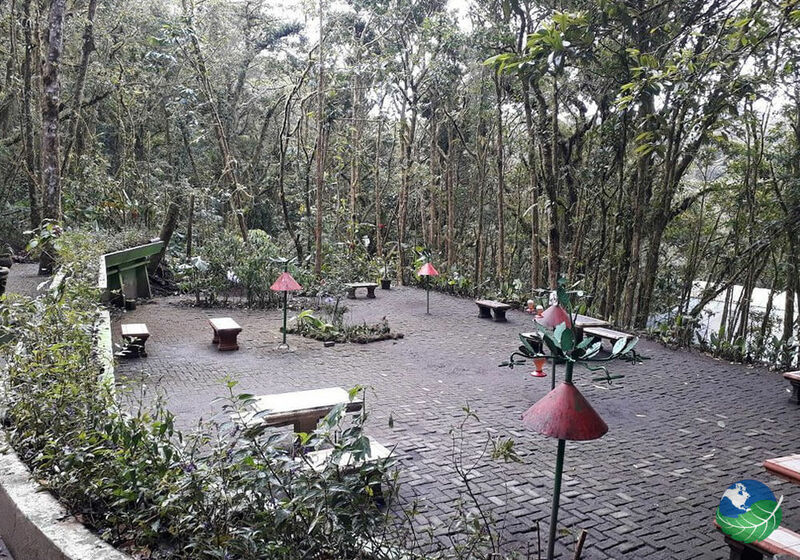 The first area we visited was called Selvatura Park Butterfly & Hummingbird Gardens in Monteverde. 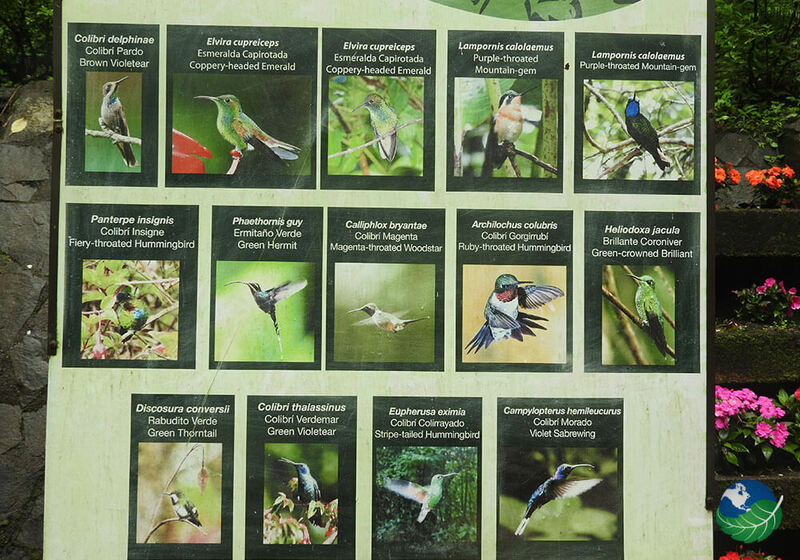 According to the sign, 12 varieties of hummingbirds can be found here. I remember when we first entered the hummingbird garden I was in AWE of all the birds flying around. There were several feeders hanging and plenty of places for the hummingbirds to perch. 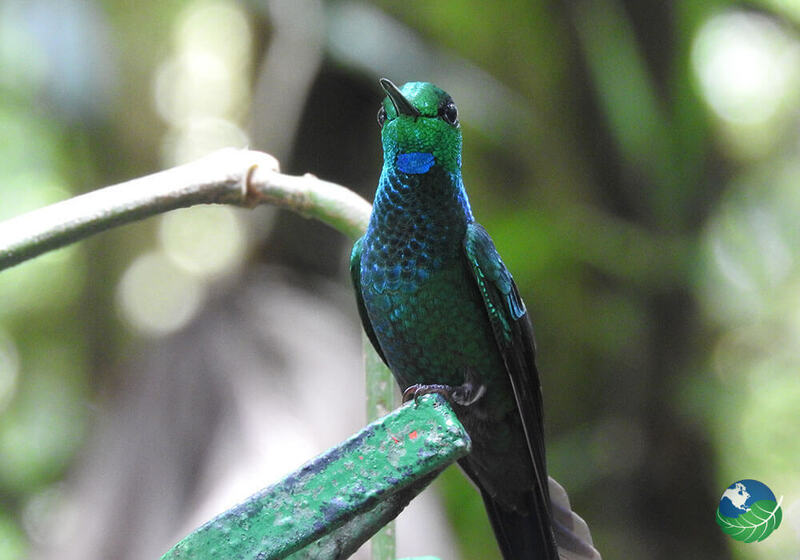 My husband took the Hanging Bridges Tour with another couple we met that were staying at the same lodge and he commented that he knew where he would find me when he returned–in the hummingbird garden! I enjoyed watching the Hummingbirds and they were not afraid of people. You could put your hand up by the feeder and they would land on you. The next area we went to was the Arenal Volcano. We saw hummingbirds flying around the motel grounds. I didn’t get any pictures and I don’t know what kind they were but they were around. 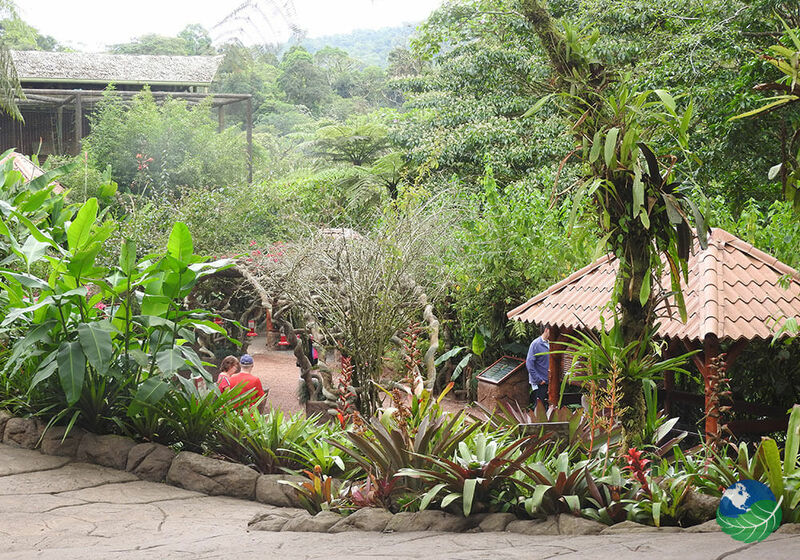 Our next location was the Peace Lodge located in the La Paz Waterfall Gardens Park in Vara Blanca de Heredia. 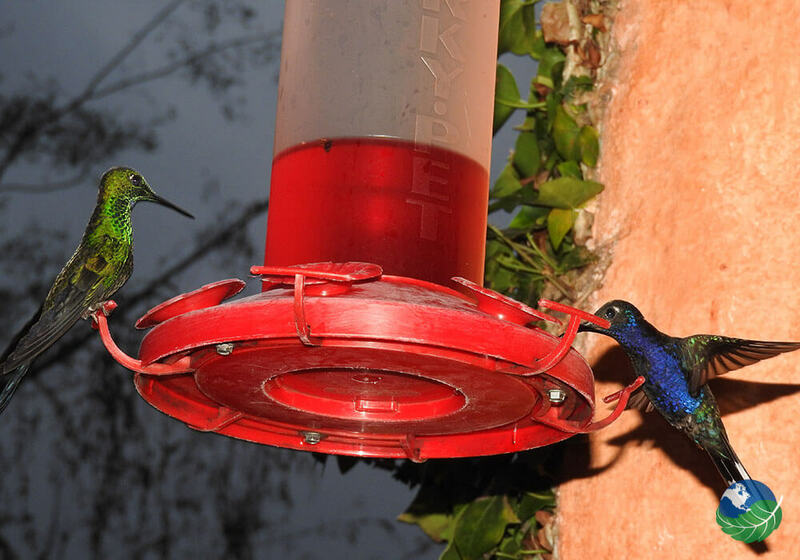 The Hummingbird Garden attracts 26 different species of Hummingbirds. The hummingbird garden had at least 8 hanging feeders. Again, the hummingbirds were not afraid of people and would fly around you unintimidated. The Peace Lodge also has feeders hanging from the balcony outside your room. The pictures below were taken from our balcony. 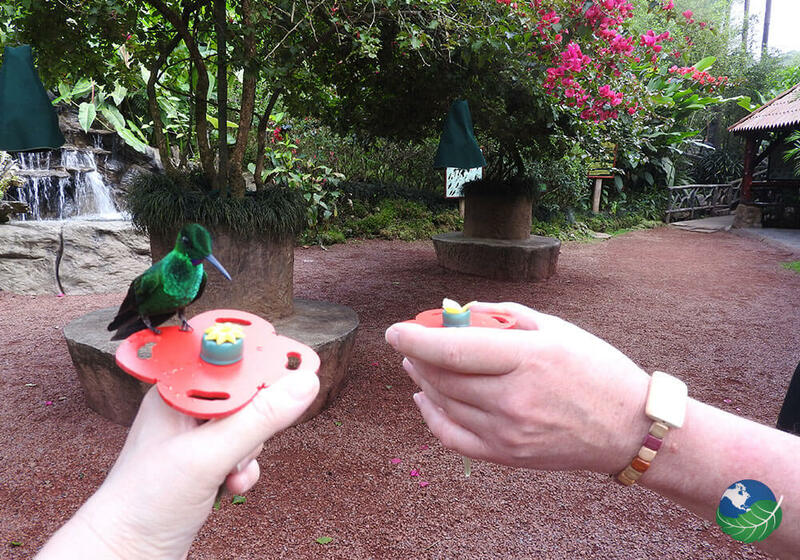 We were able to hand-feed the hummingbirds in the Peace Lodge gardens. The last place we visited on our first trip was Manuel Antonio National Park. 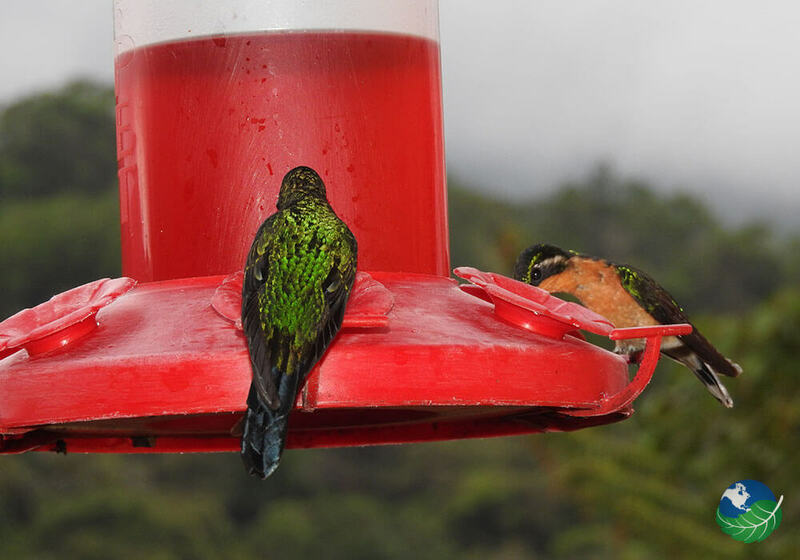 This area also had hummingbirds but not as many as Monteverde and La Paz Waterfalls area. 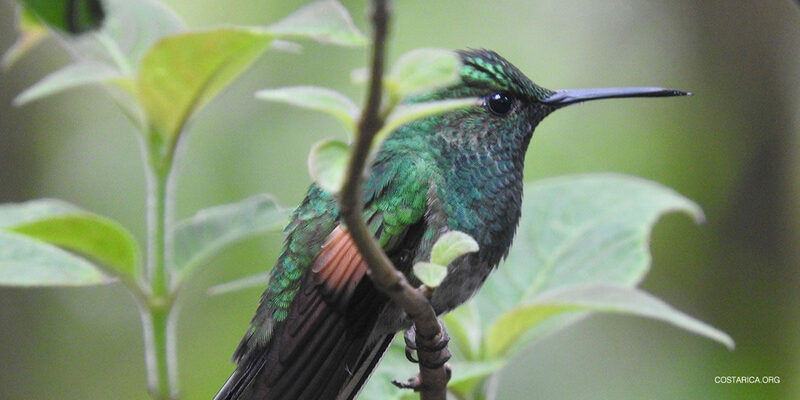 I think the reason was because both Monteverde and La Paz Waterfalls areas had gardens set up to attract the Hummingbirds whereas at the Arenal Volcano and in Manual Antonio you saw them more in their natural setting and there they are harder to find…but they are there! My name is Catherine Krebs. My husband and I got married in Nov 1979. We love to travel together and explore while traveling. We enjoy hiking and my hobby is photographing the beautiful things we see while on our travels. I especially enjoy photographing Hummingbirds. My first experience with a hummingbird was when I was a child. My parents had a Weigela Bush on the corner of our house and hummingbirds would visit it often. I thought they were huge bees so I stayed away from it. (I have always been afraid of bees.) We moved out that house when I was 7 so I didn’t really think about them anymore. In 1982 a hummingbird checked out our front window and when I learned what it was my husband & I went out and bought feeders and every year since I feed Hummingbirds from May to October. And my love for Hummingbirds began. I look forward to May when I can put my feeders back out. And I now have 3 Weigela bushes in my yard! Unfortunately we only have one species in our area and that is the Ruby Throated Hummingbird. 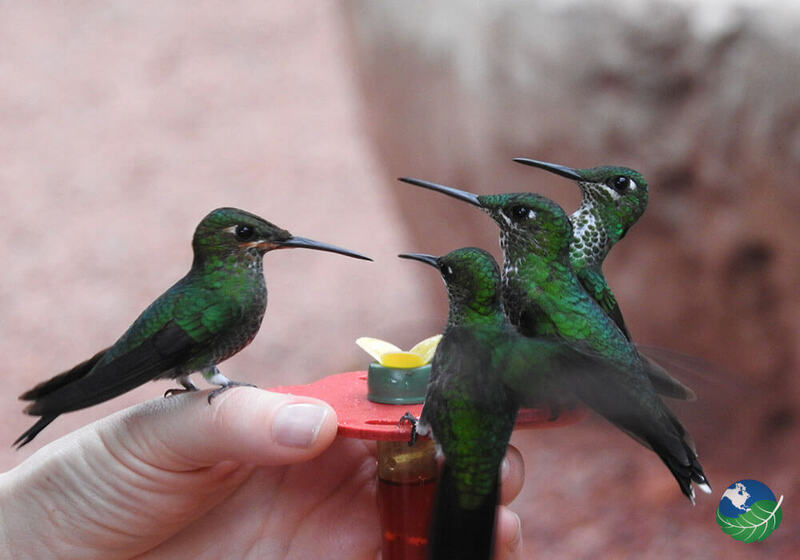 So when we get the opportunity to travel and see Hummingbirds it is very special for me.